Is Accident Insurance Worth It? Why You Should Try To File That Old Accident Claim Even If You’re Not The Type To Sue. Are you a little gun-shy when it comes to legal matters? If you’ve never been part of a lawsuit, it’s understandable that you’d hesitate to fire that personal injury claim after your crash. However, here are some reasons why the answer is yes when asking: Is accident insurance worth it? For the millions of uninsured Americans out there, getting into an accident can completely bankrupt them. If you don’t have the hundred or so dollars to spend every month on insurance, you won’t have the hundreds of thousands to cover an accident. If you’re wondering “is accident insurance worth it?”, you’re probably on about to ask some pretty important questions. Here are five instances when you absolutely need accident insurance. If you were in an accident, there’s no reason for you to be handling medical bills when an insurance company could be dealing with them. Following being hit by another motorist, you shouldn’t be covering your own medical bills. When someone else hurts you, it’s not your responsibility to also cover those costs. The person who is responsible for the accident should be the one footing the bill. When you’re hit by another motorist, you might not notice a problem at first. As adrenaline fills your body, you don’t feel pain like you otherwise might. You could walk away from an intense crash without a scratch, feeling like nothing is broken, only to feel pain a day or two later. If you see a doctor immediately after your accident, they will find out everything that’s wrong with you following the crash. A few scans could reveal problems that you don’t even feel yet. You could find yourself quickly inundated with medical bills. If you’re trying to recover, missing out on work, and paying for bills all on your own, you could be having the responsible party take care of it. 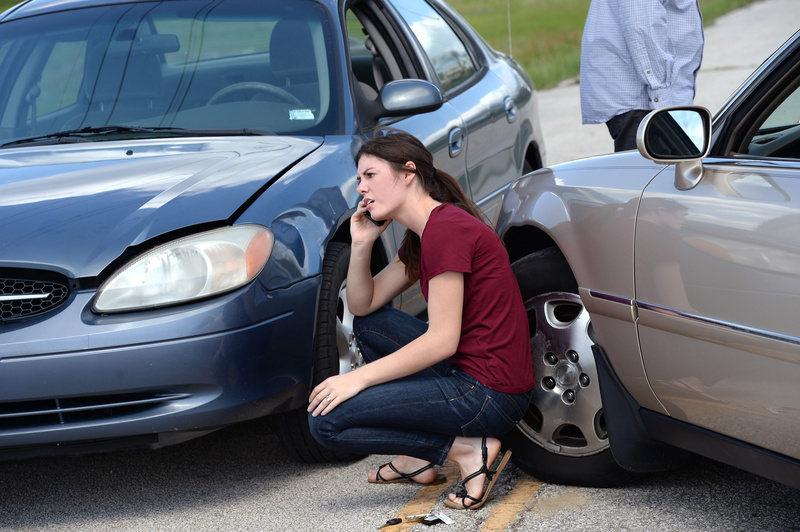 Vehicles can be badly damaged in even the most minor of accidents. You might not think that your crash was all that bad, only to find that an axel was bent or snapped later. When you’re standing in front of your mechanic and looking at your bill, you’re going to be unhappy. Rather than having to handle that on your own, you should be handing the bill to someone who is responsible for the accident. While dealing with insurance companies can be stressful, it’s better than paying for everyone on your own. Insurance companies are going to use every trick in the book to try to keep from paying out for damage to your vehicle. Have your mechanic write out a detailed report of the damage done and what it’s going to cost. When your mechanic stands behind the costs you’re looking at, you can have some back up when you get into the ring with an insurance company. Still, you might find that it’s just too much to handle on your own, hiring an attorney might be the right move for you. Take some time to learn more about what you could be getting with the help of an attorney. If you were injured as a pedestrian, you likely aren’t at fault at all. Whether you were walking or on a bike, you weren’t the one who was to blame for your injuries. Being hit by a two-ton piece of steel moving at several miles per hour can do far more damage to you than you could do to it. While you might have been shocked, gotten up, brushed yourself off in embarrassment, and walked away, you shouldn’t just let this person off the hook. You were hit by a vehicle and it’s not your responsibility to pay for any associated fees. Even if you weren’t badly injured, being struck by a car could damage your bike or could be the beginning of more serious issues. A small fracture can become something much larger years from now. Rather than have to deal with it on your own, get checked out so that you have the evidence you need for the future. If you were hit by someone who was high or drunk, you may have even apologized for your part in the moment of the accident. However, if that person was fully responsible and was putting people in danger with their intoxication, the accident isn’t your fault. Drunk driving is a form of recklessness that’s broadly unmatched. If someone doesn’t care enough about the other people on the road to not be intoxicated, it’s not your responsibility to apologize for them. It’s worth looking into a suit even for the stress of dealing with the accident. Someone who hit you due to their own intoxication is not someone who you should be apologizing for. Most accident attorneys are willing to cover your fees and only accept payment on the condition that you get what you’re owed. If they fail to win a settlement, you’ll walk away without a bill for legal fees. If you win, the attorney will accept a small percentage as their fee. Your attorney will take a look at your case and will assess how likely you are to win your case. If you’ve saved medical information, accident reports, and insurance information, you make their job easy. The more information that you have to provide them, the better they can assess how well they can perform in winning your case. If you’re still asking yourself “is accident insurance worth it?”, the answer is clearly a big and resounding yes. If you’ve been in an accident, you should pursue help either through your own insurance or through the insurance of the person who crashed into you. In order to ensure that you can afford the insurance you need, check out our guide for budgeting better.